I’ve been very fortunate in having had the experience of working at most of the popular wedding venues throughout Warwickshire and Coventry. Here are some of our favourite venues. 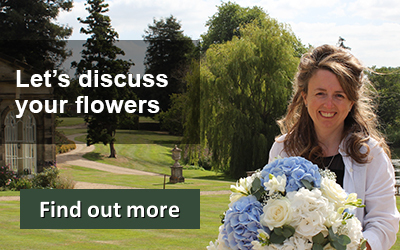 Click on the links to find more information on the venue and examples of some of the wedding flowers that we have created at each of them. This hotel is situated in 65 acres of beautiful countryside just outside Wellesbourne and close to Stratford upon Avon. Your guests can’t fail to be impressed as they drive up the tree-lined approach to the Hall, flanked on one side by the lake and the other by the beautiful chapel. We love doing weddings at this venue because the staff are so friendly. See some of the wedding flowers that we have created here. 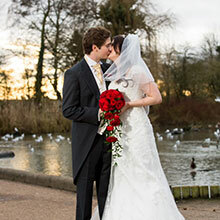 Kenilworth Castle is a wedding venue steeped in history and fit for a Queen. 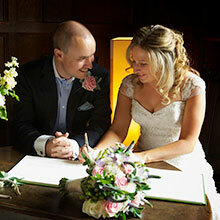 The Gatehouse is licensed for civil ceremonies and provides the perfect romantic location. Here are some photos of how we decorated this unique Castle venue. This hidden gem of Warwickshire is situated just North of Leamington Spa. 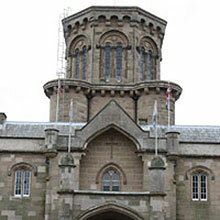 The grade 1 listed building provides a fabulous venue for a wedding. 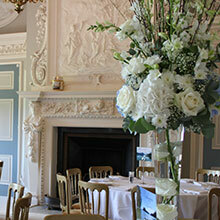 Here are some photos of our flowers at Stoneleigh Abbey. 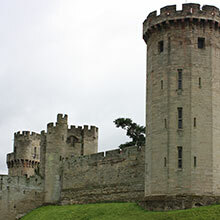 This castle is located in the centre of Warwick with superb views over the river Avon. A truly historic and romantic wedding venue that will be a memory to treasure. 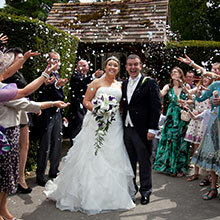 Wethele Manor is a beautiful, rural wedding venue located in the Warwickshire countryside. The restored 16th century farmhouse now specialises in wedding ceremonies and receptions as well as providing quality accommodation. Enjoy looking at some of our photos of wedding flowers at this venue. The Nuthurst Grange is a beautifully presented hotel on the outskirts of Solihull. The beamed ceiling stable buildings offer a perfect civil ceremony venue. It also has a large contemporary wedding breakfast room that’s been recently renovated. What makes the Nuthurst Grange so unique is it’s wonderfully relaxed atmosphere and very friendly staff. Here are just a few photos of the wedding flowers we have produced for brides at the Nuthurst Grange. Nailcote Hall provides a beautiful setting for weddings with its golf course making a fabulous backdrop for the photographs. 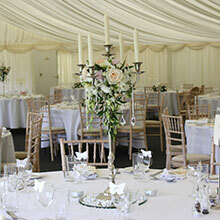 Enjoy looking through some of our recent wedding flowers at this Warwickshire venue. 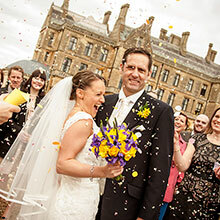 See beautiful photos from Nailcote Hall weddings. Hampton Manor provides a perfect fusion of old and modern with its stately exterior and contemporary interior. Here are some of our most recent wedding flowers at this unique wedding venue. Browse through photos from some of our Hampton Manor weddings. Stunning country mansion style venue, situated in its own private grounds. There is a delightful chapel in the grounds, which provides the ideal setting to exchange vows prior to retiring to the Mansion for the Wedding Breakfast. 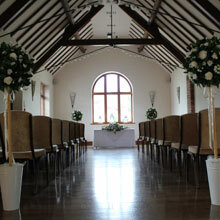 We’ve enjoyed supplying flowers for many weddings here since the venue was refurbished. 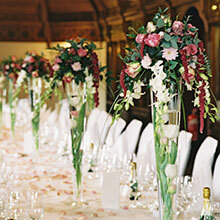 Here are some photos of our flowers at Wroxall Abbey. Located in the heart of the Warwickshire countryside just outside Stratford, Ettington Park is one of the most sought after hotels for weddings. If you enjoy sophistication and style, you will not be disappointed by this venue. Coombe Abbey is a truly unique venue. Located in Brinklow on the on the outskirts of Coventry, it has become a favourite with many local brides. Here is some more information about this romantic venue and details of some of the weddings that we have completed at Coombe Abbey. 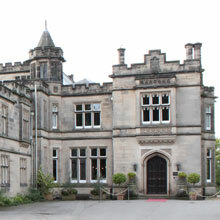 The Welcombe Hotel is a beautiful venue that has so much to offer. 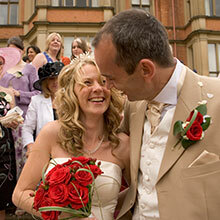 The impressive building and delightful gardens make an excellent backdrop for your wedding photographs. There is a golf course and a Spa attached to the hotel, which are an ideal way to relax before your special day. Here are some photos of our wedding flowers at the Welcombe Hotel. Located just outside the city of Coventry, you could be forgiven for thinking that you are in the middle of the countryside when you’re at Ansty Hotel. Being close to the junction of the M6 and M69 it’s ideal for guests who are travelling from a distance. We’ve been pleased to have created the wedding flowers for dozens of brides at this venue over the years. 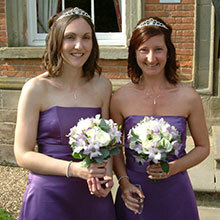 You can see a selection of these on our Ansty Hall page. St Mary’s Guildhall is a medieval building that is bursting with charm. Many brides make use of the adjacent cathedral ruins to obtain some great photographs of their big day. 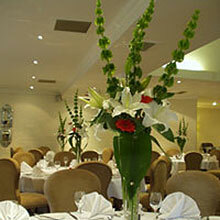 It is located in the heart of Coventry city centre but retains a feeling of dignified calm. Here are some photos of weddings that we have completed at St Mary’s Guildhall. This hotel on the outskirts of Coventry provides great facilities for the modern bride. Guests can relax in the hotel’s swimming pool, gym and spa. There is a choice of wedding suites, including one that is self-contained. Here some photos of our wedding flowers at Brandon Hall Hotel. This modern hotel is conveniently situated between Stratford upon Avon and the M40. 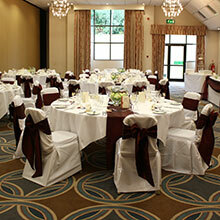 It has a variety of different sized rooms that are licensed for civil ceremonies. It also has an impressive range of leisure facilities including a swimming pool and gym. 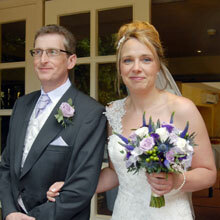 View photos of our wedding flowers at Stratford Manor Hotel. A wonderful venue situated on the western side of Warwickshire. This is a traditional-style building with a rich history and plenty of charm. The overall feeling is one of being relaxed and unfussy. Here are some of our wedding flowers photos from Studley Castle. 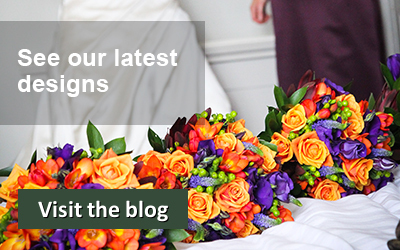 You can see more photos of our work by visiting our other wedding flowers pages. These are grouped by area.